Steve shares his discovery that it’s very difficult for people to articulate who they are and what they do, and the impact they have on others. 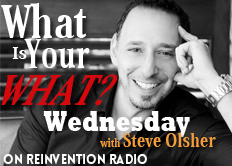 One of the best places to start is the 3rd step in the What Is Your WHAT? framework which is understanding who are you most compelled to serve.